We’re a small team of mortgage professionals who understand not only how to get you approved for your mortgage, but also how the mortgage you choose affects your overall financial future. We treat your mortgage like any other investment, helping you find the right loan for your family’s individual financial situation, needs and goals − whether you’re buying a new home or refinancing to save money. Since becoming a mortgage loan originator in 2001, Brent has widely been recognized as a rising star by his peers, being named one of Omaha’s “Top 40 Under 40” by Midlands Business Journal, and holding seats of both President and Treasurer of the Nebraska Association of Mortgage Brokers. A gifted athlete, Brent was a professional minor league pitcher for the Gulf Coast Royals, and has won 8 national titles with the Omaha Barons wheelchair softball team. He also served as the Captain of the U.S. Men’s Sitting Volleyball team for 10 consecutive years. Since beginning her mortgage lending career in 1997, Sarah has been passionate about helping people become homeowners. Sarah has “worn every hat” within the mortgage industry—from underwriter, to loan coordinator, loan closer, and loan setup manager—for banks both large and small; giving her an unmatched level of knowledge and experience of the approval process, and how best to navigate it to the advantage of her clients. Today, Sarah enjoys her role at Mortgage Specialists, LLC, because of the outstanding level of productivity and success she is able to take part in through working with a small, local company—and face-to-face with the clients she is passionate about helping. The newest member of the Mortgage Specialists team, Jonathan Jameson, was born and raised in the Omaha area. After finishing High School at Bellevue East, where he played varsity baseball and tennis, Jonathan went on to study Finance and Banking at the University of Nebraska at Omaha. Then, after two years he went back to UNO to obtain an MBA. While completing his undergrad, Jonathan met his wife, Courtney while she was attending school at the University of Nebraska at Lincoln. Jonathan and Courtney have two dogs, a Shepherd mix and an English Mastiff. His hobbies include cooking, golf, volleyball, tennis, and spending time with family and friends. He is one of four boys who are scattered around the Midwest and Southeast. Community and service are important to Jonathan. He serves on the Board for Habitat for Humanity Sarpy County, the Parks and Recreation Committee for La Vista, as well as a new group, Academy of Young Professionals in Omaha where he sits as the Treasurer. Jonathan’s experience in the financial institutions industry as a processor and underwriter made him the perfect match to round out the Mortgage Specialists team in mid-2018. Jonathan is ecstatic about joining Brent and Sarah and looking forward to growing with this team while continuing to help clients make the biggest purchase of their lives. As someone who intends on living in the Omaha area for a long time, Jonathan is looking forward to servicing clients around the area. 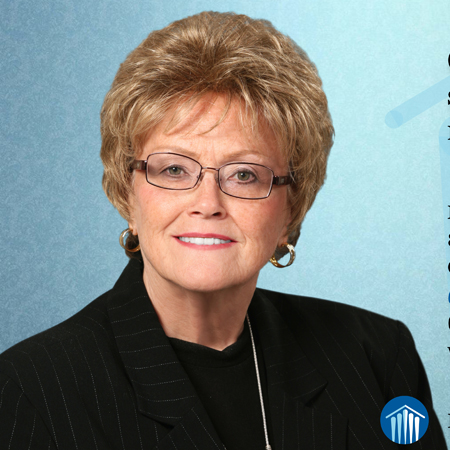 Carolyn is the senior member of our team having served in many capacities throughout her career in Mortgage Banking. She began as a Loan officer and proceeded to become Branch Manager of a national company where she was top producer. She served as VP of Mortgage Operations at local banks as well as Operations Manager for a large mortgage lender in Huntington Beach California. She was President and majority stockholder of First Financial Mortgage and Hermsen Mortgage Group. She served on the Nebraska Mortgage Bankers Association Board of Directors, was awarded Affiliate of the Year by the Omaha Area Board of Realtors and was top producer at the companies where she worked. She has a reputation for knowledge, integrity, compassion, and thinking outside the box. She is also a freelance writer with published work. She has adapted to the ever changing mortgage business in her five year tenure at Mortgage Specialists, LLC where she no longer has to manage others and can give her personal attention to her customers and can pursue other interests in her spare time.